Honeymooning couples will get up close and personal with some of Asia’s best natural wonders and UNESCO heritage sites in these romantic itineraries, or have an amazing destination wedding. If you cannot get enough of Cambodia and Thailand, Ampersand Travel has crafted the 13-day Sheer Indulgence honeymoon itinerary (about US$19,724 per person) that lets couples traipse from Cambodia to Thailand. Guests will be chauffeured to the mystical temples of Angkor, and stay at the opulent Amansara hotel. 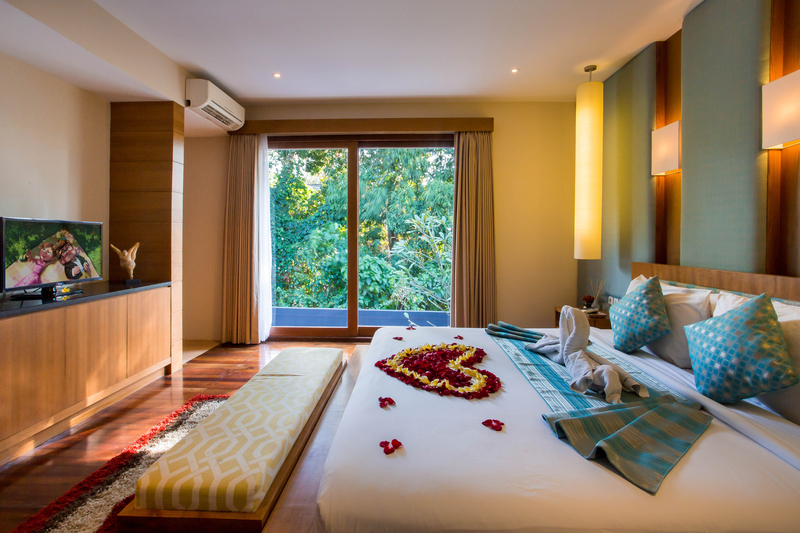 Travel to Phuket and stay at the Trisara resort, with magnificent views of the Andaman Sea. The hotel offers a pre-wedding photoshoot (US$1,690), including hair and make-up, while the photographer takes the couple to the most scenic shots overlooking the sea. The hotel staff also specialise in crafting a personalised wedding for the happy couple as they recite their vows as the sun sets. The journey ends in Bangkok, with arranged private tours of The Grand Palace and Wat Pho before the happy couple returns home. 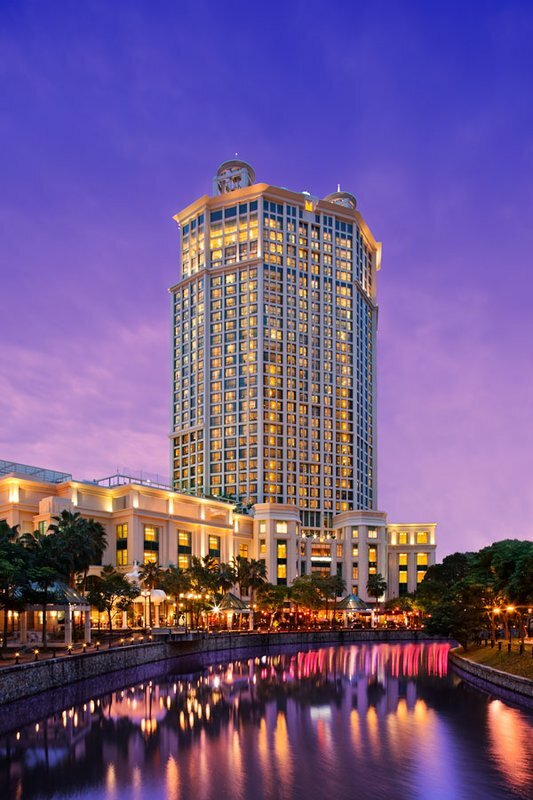 Stay at the Oriental Bangkok, of which the Three-Bedroom Suite is the most luxurious. Russian tennis player Maria Sharapova has stayed at the Trisara resort, while celebrity chef Bobby Chinn has held a cooking demonstration there. Alain Rougie, who is a 4th generation producer of the world’s finest foie gras, held a memorable five-course feast at this hotel. Alternatively, have a gorgeous destination wedding (up to US$3,714) at The Sarojin in Khao Lak, Thailand, where the wedding is tailored to your needs. We recommend a traditional Thai wedding ceremony for an authentic experience, including arriving at the beach wedding location on elephants. Fill your after-wedding itinerary with luxurious experiences like dining on a private island or surrounded by a waterfall. Other experiences include fireworks and hot air balloon rides. 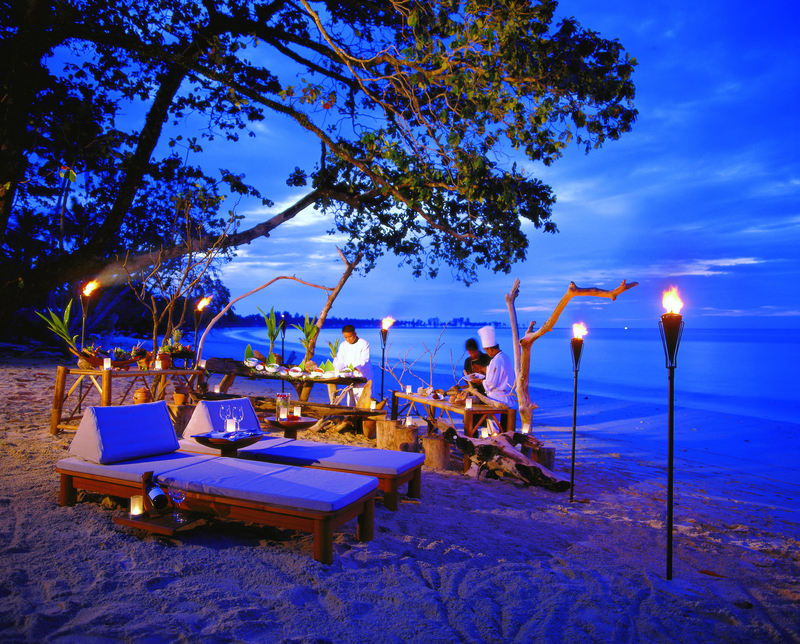 The 16-day Borneo Luxury Honeymoon (from US$5,650) from Odyssey World whisks couples away on a glorious retreat to the Four Points Resort by Sheraton Sandakan, Borneo. Embark on a full-day tour of the Proboscis Monkey Sanctuary at Labuk Bay, and venture to the Sepilok Sanctuary, one of the four orangutan sanctuaries in the world that houses 60 to 80 orangutans. Get a bird’s eye view of the Danum Valley and Borneo’s lowland rainforests. Slip away to the Gayana Eco Resort, where couples wed on a beautiful floating platform or on a yacht. The package includes a bottle of champagne for toasting as well as hair and make-up, and a professional photographer to capture everlasting memories. Couples may also ask for a jazz band to create a romantic ambience. Memorable guests who have graced the Gayana Eco Resort include retired Spanish footballer Victor Sanchez Del Amo. Ampersand Travel’s 19-day Boutique Rajasthan itinerary (US$6,000 per person) will take travellers into the depths of India, with a picturesque holiday for the most romantic and Instagram-worthy shots. Luxuriate in the Amet Haveli Hotel, which overlooks the gorgeous lake city of Udaipur, and bask in the lovely afternoon sun with a lake boat ride along Lake Pichola. Enjoy a private drive along the Narlai, and stay in the fortified city of Jaisalmer, in the Kila Bhawan hotel, where the co-founder of Microsoft, Paul Allen, dined. The journey ends with a full, sightseeing tour of Jaipur, known for its beautiful pink buildings and retreat to your suite in the Samode Palace, painted with ornate floral motifs that make it glow. At the Samode Palace, dress up like Indian royalty and celebrate your union accompanied by an elephant procession. The groom will mount a horse and the bride will sit in a doli (an Indian sedan), making their entrance amidst a shower of flower petals. The ceremony will be conducted within a mandap (a wedding tent). After the ceremony, dine like rajahs in the exquisite Darbar hall or the Sheesh Mahal, which is also known as the palace of mirrors. Weddings at the Samode Palace cost up to US$157,894. Additional attractions include a trip to the iconic Taj Mahal, a monument to one of the greatest love stories ever told – the Sultan loved his wife so much that he built it to commemorate her death – or even tiger-spotting in Ranthambore. Environmentally-conscious couples could escape to the eco-friendly Maca Villas resort. The resort uses several measures to reduce waste, installing water-efficient guest fixtures, adopting an effective waste management plan and conserving electricity. Guests thus are able to have a guilt-free stay at this sustainable resort. 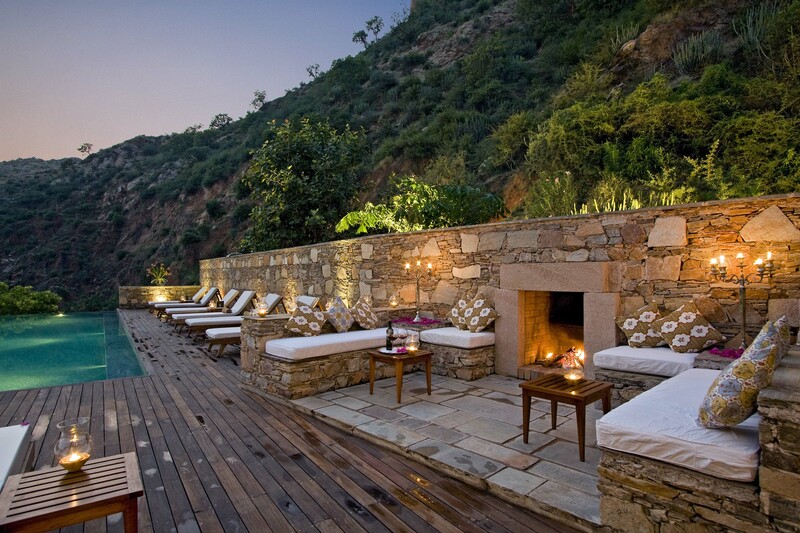 Each suite is steps away from a pool, a private sanctuary for the happy couple. Relax at their spa, which offers a 90min body massage and scrub (about US$130 for two). For the ultimate romantic experience, request for the Romance Blossom package (about US$1,100 per package), which includes a 60min aromatherapy massage, 60min body scrub and an in-villa candlelit dinner, all for the both of you. The candlelit dinner could consist of French-influenced cuisine, using organic produce and imported meats, and feature dishes like Coffin Bay Oysters or Escargot Mille Feuille. Alternatively, the team behind Maca Villas has unveiled their newest resort. The Grove Villas and Spa (www.thegrovebalivillas.com). Their sister resort lets couples relax in luxury villas (price upon request) with their very own private pool. The hotel is located near the Petitenget and Batubelig beach, and is also close to well-known boutiques and restaurants of the Seminyak area. Although the hotel only has 26 rooms, all of them are large and luxurious, with the four-bedroom estate being the grandest. Alternatively, reserve the entire resort for your entire bridal party, and host your bachelorette party at the villa (price on request). Each suite is also spa-themed, which makes for a thoroughly invigorating experience. Gwyneth Paltrow vacationed in Indonesia with her children, Apple and Moses. Julia Roberts and Charlie Chaplin were also charmed by Ubud, Bali.